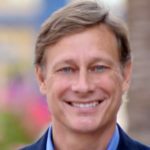 Mark Murrisonis a CEO and leading consumer healthcare executive who has been at the forefront of rethinking how we approach health and wellness in areas such as primary care, genetics, and brain health. He is currently the CEO of Neurocore, a company leading a new revolution to improve performance by applying recent neuroscience discoveries and advanced technologies to help people reach their full potential by optimizing how the brain functions and performs. Prior to Neurocore, Mark was the President of MDVIP, the largest private physician network in the US. Under his guidance, MDVIP grew from fewer than 50 to more than 750 primary care physicians across the country serving more than 250,000 patients. Mark’s focus at MDVIP was to change the volume-based model of reactive healthcare to highly personalized care with an emphasis on preventive care, utilizing the latest medical innovations, as well as exceptional customer service. Mark was a senior executive at Procter & Gamble for 18 years where he led the company’s new business development efforts as well as several global brands. He holds an MBA from The University of Texas at Austin, completed an Executive Program at MIT in Artificial Intelligence and Business Strategy, and has a BS in Business from Kansas State University.